Children Get ready for a great performance by beloved children's musician Tom Pease! 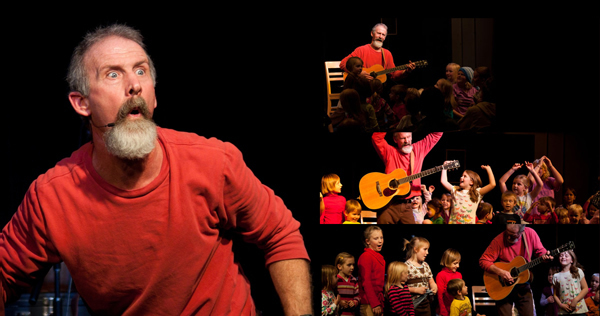 Pease will delight audiences of all ages with his humor, storytelling and a fun repertoire of songs. There's a reason MCPL brings Tom back year after year! Find out for yourself! Free and open to the public, no registration required. In order to ensure the safety and enjoyment of all patrons, large groups (more than 20 people) are asked to call ahead. We reserve the right to turn away groups on the day of the performance.